There are currently 32,398 users on this website. 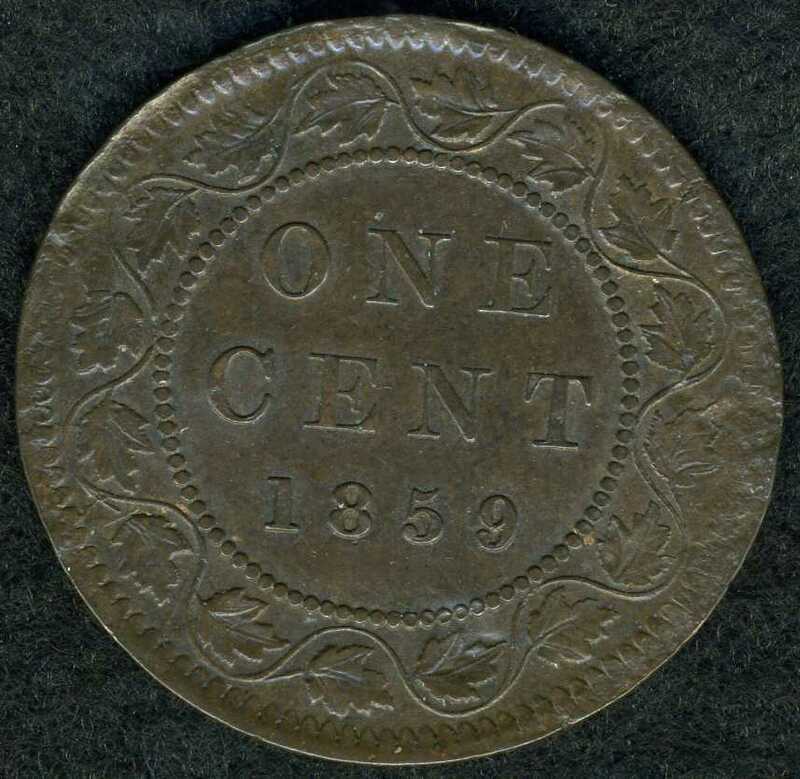 While going through nd sorting some of my 1859's I come across this one I got it marked as a PC59-322 32+G3. 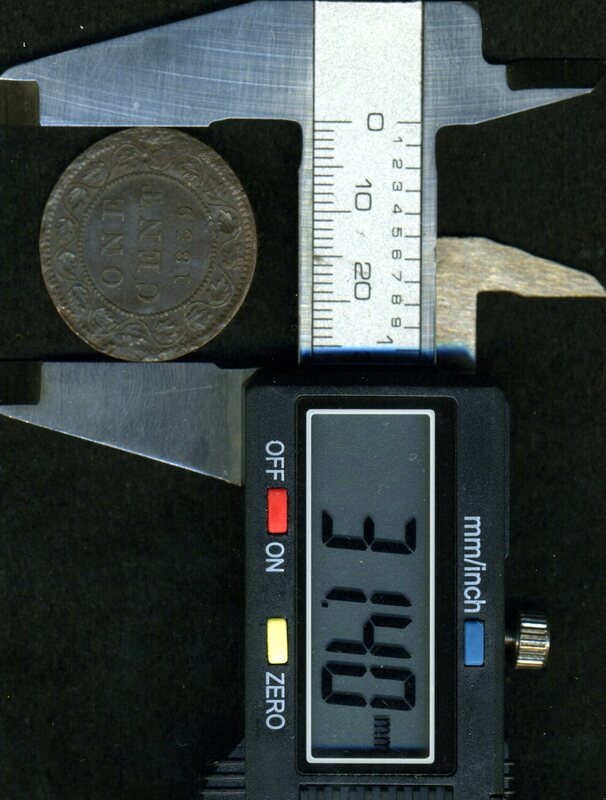 For me it's definitely a cracked planchet..and probably a tougher die pair to find.. 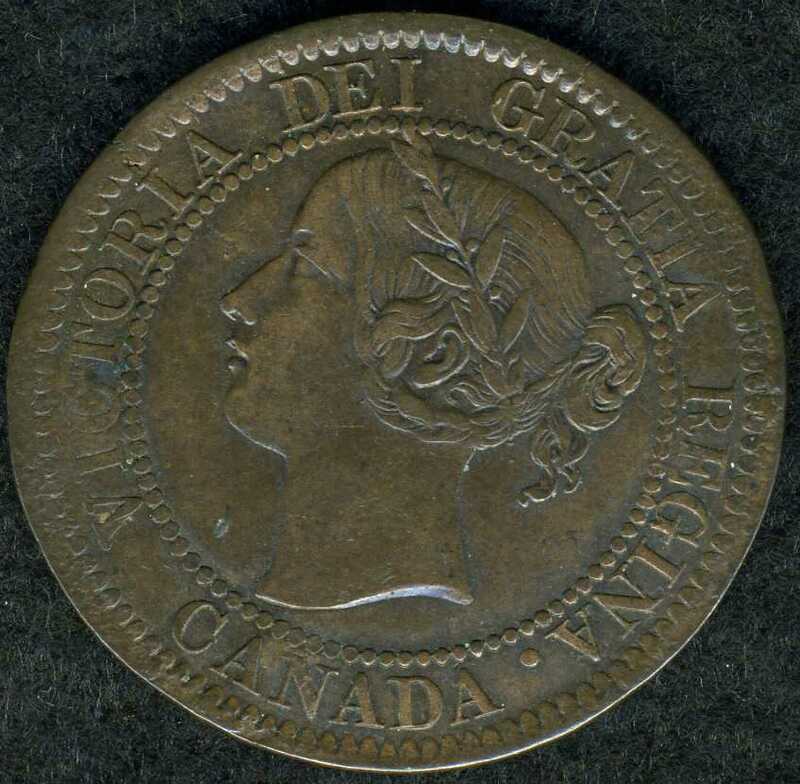 The cracked planchet is an error. I'm not sure what caused the flattening around the edges. My guess would be PMD on that. Simple die erosion is as good a suspect as any for the rim problems. Weight is right on, so metal hasn't been removed by wear or damage. I took a closer look at the reverse die state, and I think this is a PC59-32b1 (32b+G3). It is the last die pairing of G3 with 3 different obverses. This is the only Haxby reverse known to be paired with 3 obverses. 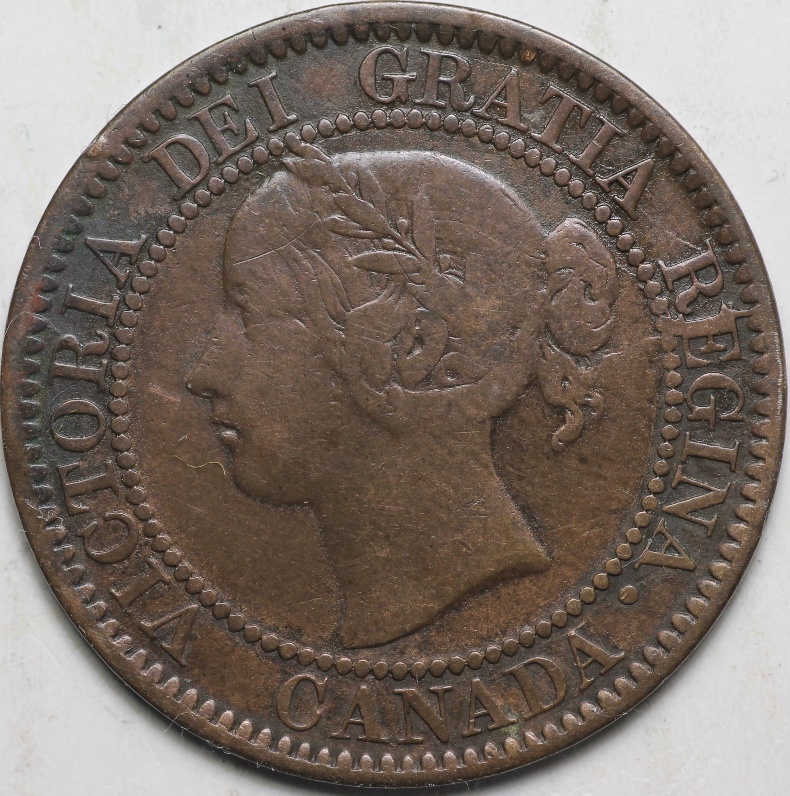 The C of CANADA has the triple punching at the top that identifies it as the 32b obverse. It is late in the life of the G3 die, but I'm not sure it is die deterioration. 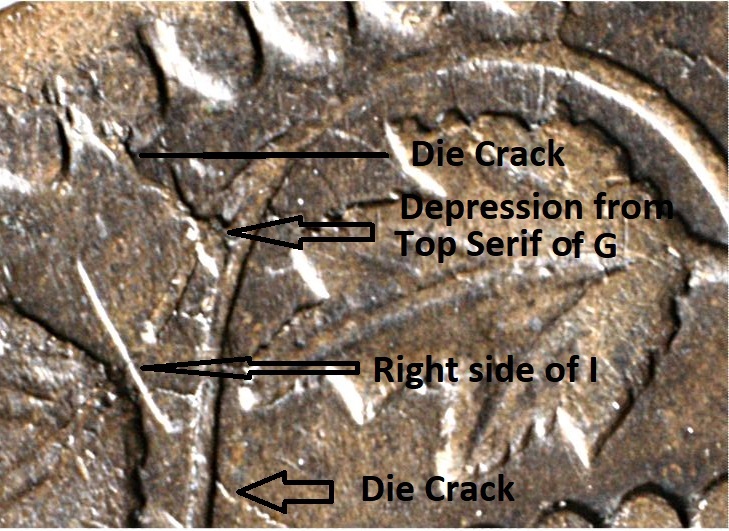 I'll look to see if I have any examples of this where the die cracks are the same and see if there is any rim deterioration. Yes Phil310...so true..Triple "C" in the obv Canada. Edited note: I have 4 of these coins and they do show signs of deterioration on the rims at different stages in them. But the 1st coin must have ( PMD) other than the cracked planchet as you wouldn't think a coin like that would make it out of the mint? 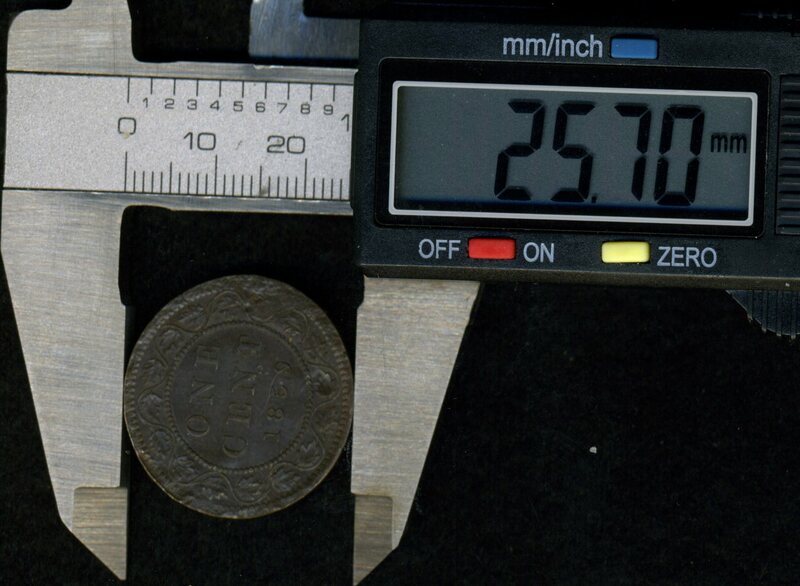 The second coin is the same die pair, but in a little earlier state. 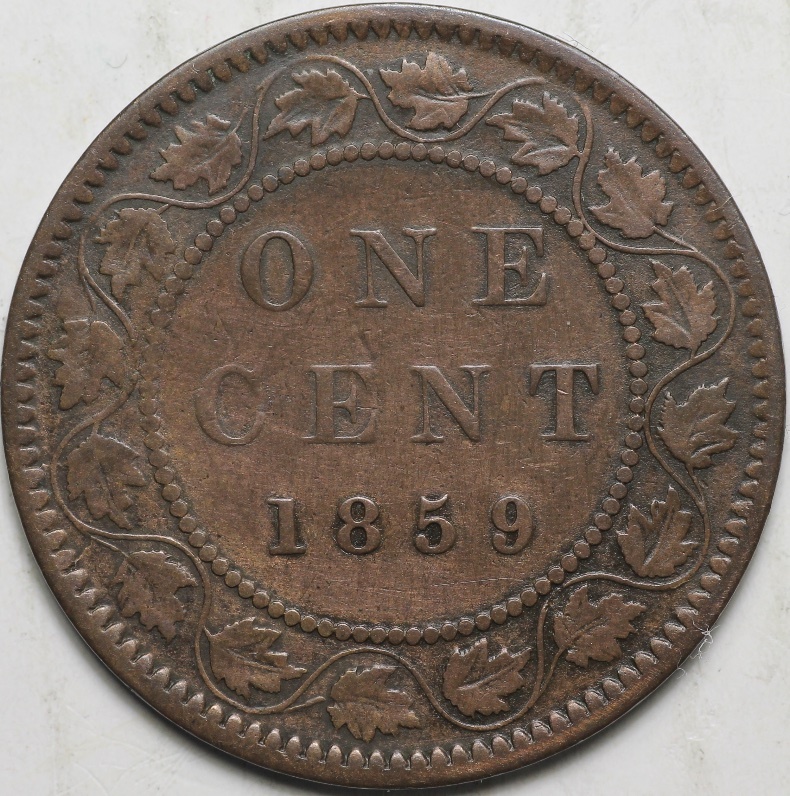 Although the reverse of the first coin is in a late state, the obverse 32b is early. After this pairing, reverse G3 was retired, but 32b was paired with two other reverses and continued producing coins for some time. Both the obverse and reverse of the first coin have flattened areas most noticeable at 3:00 and 9:00, so I believe it must be some sort of pressure applied after it left the mint that caused it to look that way. That's my best guess. I was going over my 59's and changing Haxby number's that have been moved. This coin always makes me look at it every time I see it, this time while looking at it I found a couple of new things. 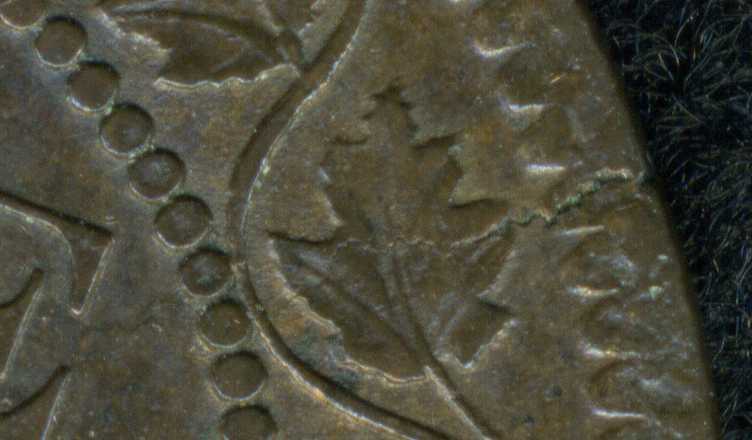 I took a picture of an area that looks like obverse lettering on the reverse an A and N I think, also its tapered thinner planchet at leaves 4+5 and leaf 13. Papeldog, is the edge of your coin still square or is it rounded off, or thinner than the rest of the coin ? Is it slightly larger in diameter ? Possibly broken collar die (from repeated die clashes- I have 4 forehead lines on mine, as marked in the Haxby description) which made the planchet expand too much and made a crack ? If you roll out dough with a roller, the same kinds of cracks form if it's pushed out too quickly. If the rim is still square it had a collar. If it is PMD then it probably would have different thicknesses around the rim. 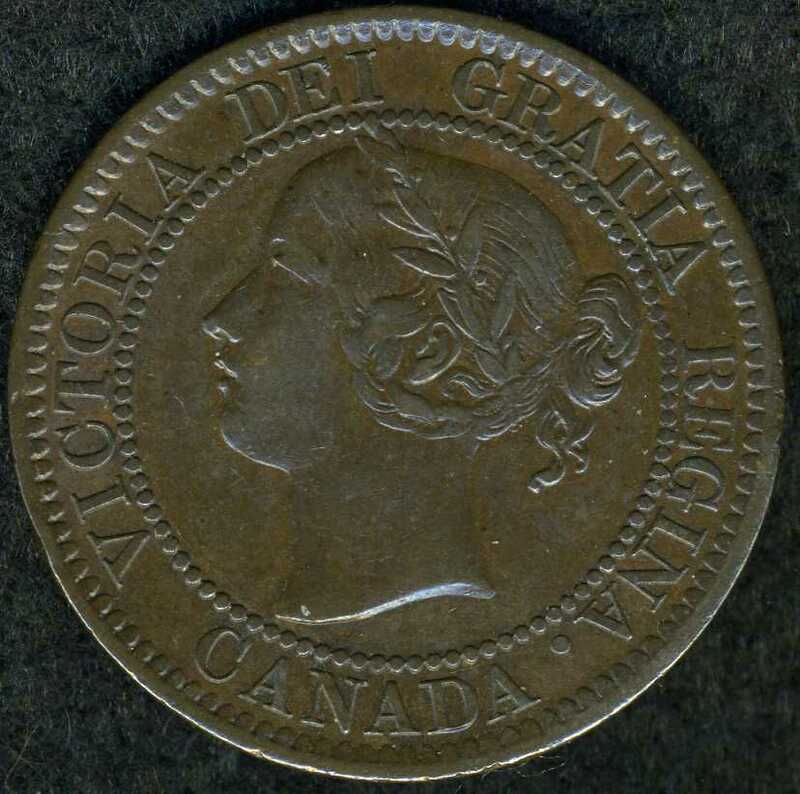 I can confirm the die clash of REGINA on the reverse. 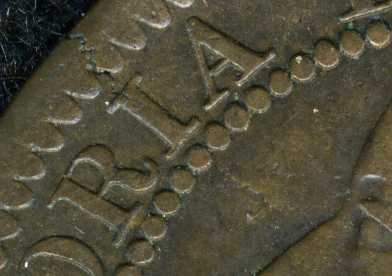 My 2 also show obverse die clash letters. The A between leaf 10 and 11 is the last letter of REGINA, the N is hidden by leaf 11 and the straight depression at the stem of leaf 11 is the I. The die crack around leaves 10 to 13 look like they stem from the die clash. My 2 USB cameras died because of Windows 10 update so I took the photo of leaf 12 from the Haxby sight (hope that's okay Dr. ? ), to point out something else. The die crack from the rim to the vine runs beside a depression made by the top serif of the clashed G.
The lower 2 arrows show the straight line (brightly lit) formed by the side of the die-clash letter I. There is a small die crack that runs into the field from the bottom of the I. I guess that die clashes often cause die cracks. Came up with another thought. 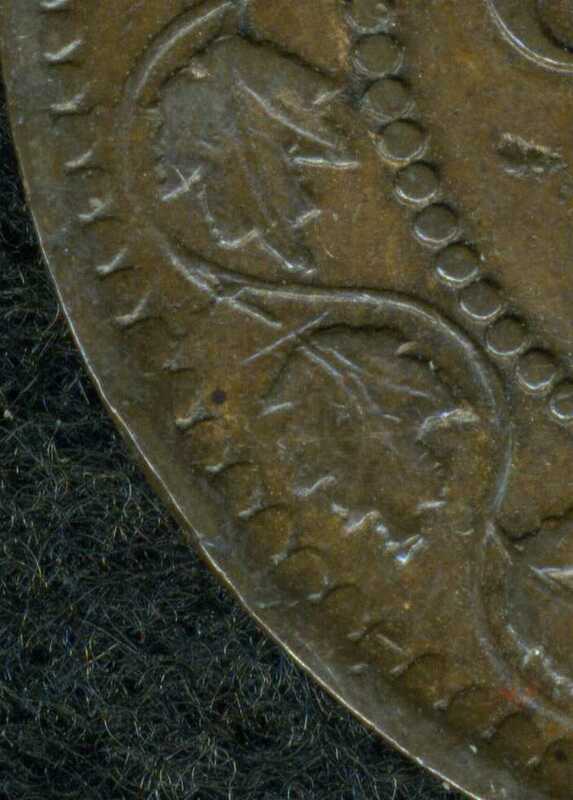 Above leaf 13, between the leaf, denticle and vine, my coins have a raised bump that looks to be on your coin also. There should be an impression there from the REGINA die clash, but instead it's a raised bump, odd. After reading your study of this Reverse die Terry T I have to agree with your thoughts on this coin. Like you mention about the clash at the E in ONE I can see on this coin very faintly 4-5 forehead clashes in that area, the coin weighs and checks out correct on measurements, thickness is a little less than the norm, as for the rim it does tapper a little at the edge of both messed up area's of the coin but just in those area's the rim looks normal everywhere else. 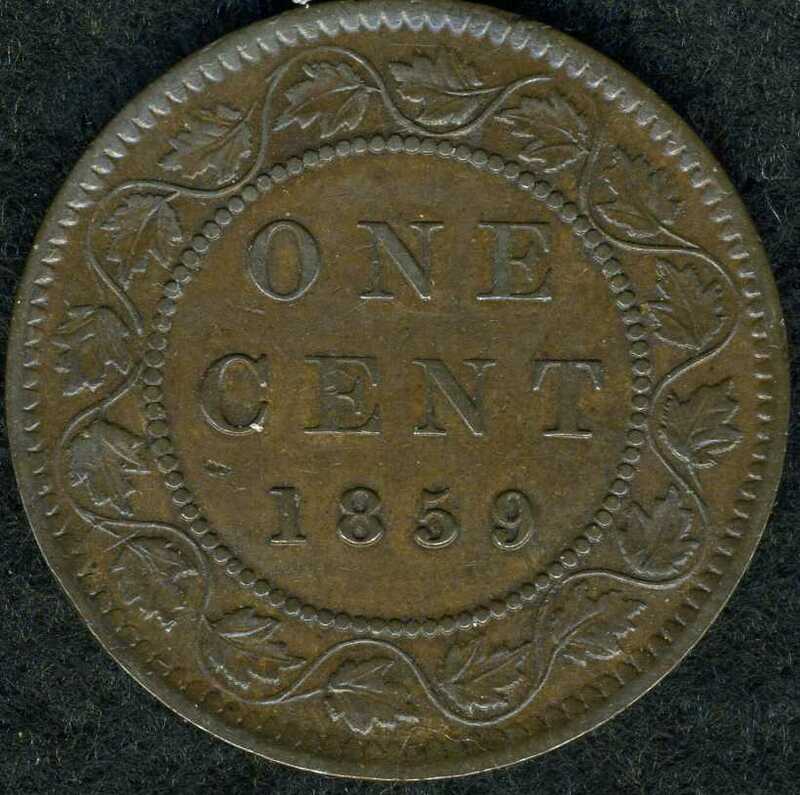 As for all the letters you mention this coin has all those letters in the vines and leaves at leaf 10-13 and the bump you mention at leaf 13 is there also, you have described the coin almost exactly as to the one I have, at least now I know its not PMD and it come from the mint this way. Quality control must have been sleeping when these coins were minted. 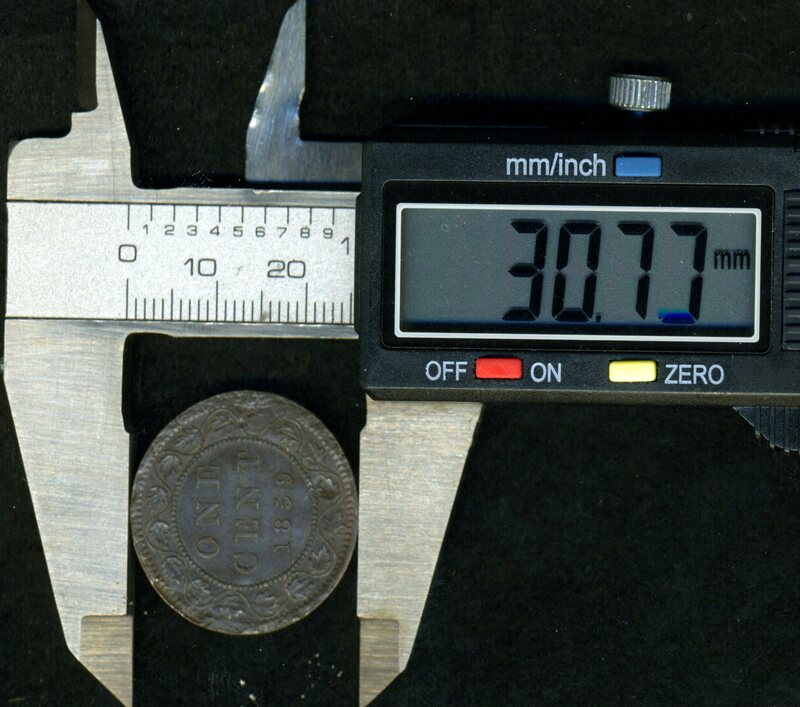 papel ... is the original coin perfectly round and what is the OD? 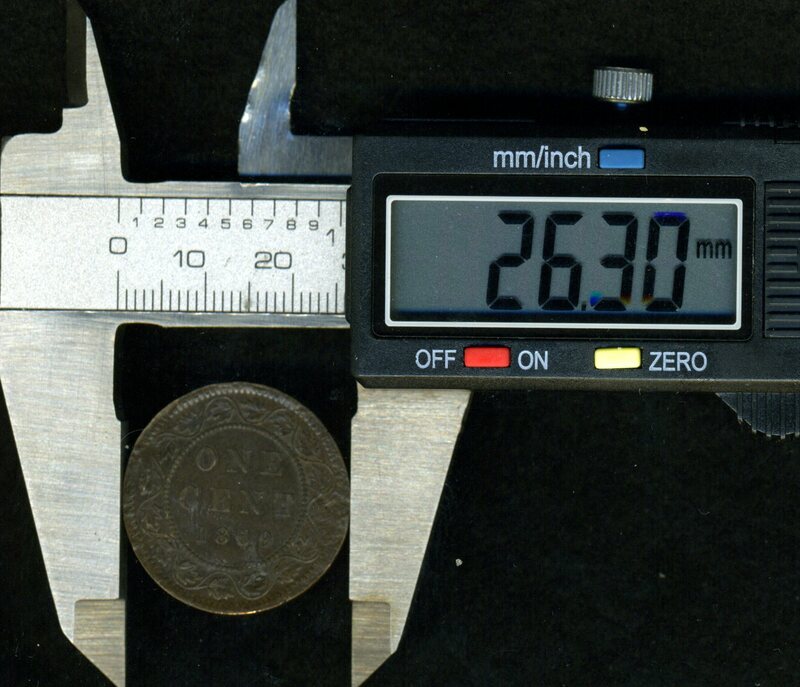 The normal diameter should be 25.4 mm. Are you sure the calipers were closed and zeroed before you took the measurement? Those numbers look really big.